We’ve put together a list of 11 ways that you can help increase homework compliance with your clients and help them to achieve their desired result. Let’s dive into tips to increase homework compliance! As a therapist using homework, the need to keep on top of all the latest news is of utmost importance. New resources, publications and theorists pop up every single day and making sure you’re adopting some of the latest philosophies or routines within homework compliance will pay huge dividends when it comes to giving your client the best and most effective methodologies. Recommendation: Connect to Google News Alerts to get the latest on news, scholar updates, trends on keywords like “homework compliance” and “cognitive therapy”. Each time you interact with your client, you’ll learn something new about the way they work and how they operate best. Each session, refining your homework compliance approach based on how each activity went will pay off for future sessions and give them the best of what they need to leap forward with their out of session time. Recommendation: Keep a log of each session and the homework assigned for that period. Document the success rate and the suggested tips, after time you’ll build up a CRM-like logbook of all of the mistakes and fixes to your homework compliance, further defining your client’s approach. Clear instructions are one of the best ways to help your client understand what they’ll be getting up to after a session. It’s so important to make all of this clear. This is something we documented in the methodology behind homework compliance, but even the concept of having an outline of the exercise and a clear, actionable list of tasks will help to make all parties clear of what needs to get done even with the use of a verbal explanation too. Recommendation: Try listing benefits of each exercise. There’s nothing better than knowing, as a client, how it’ll improve your therapy and get you closer to where you need to be. We’re all busy people, and after each session, homework might not always be a priority for your client. Making them aware that you’ll ping them mid-week about how their homework exercise is going will easier be a reminder to them, or even provide them the nudge they need to get the job done. Recommendation: Try using a digital resource like Therachat to text with your clients in a HIPAA-compliant way on a one-to-one basis and increase the quality of your homework compliance as a result. Fun and engaging homework will help to improve the chances of success for your client. Even making things a little interactive, getting other people involved or even allowing them to be creative will help them to test their abilities and provide them with a good excuse to actively get involved in your homework. For you, it’s easier to sell too! Recommendation: Why not try combining activities with other people they love and care about, studies have shown by interacting with others on an activity, can help them to achieve success. Resources outside of therapy tools can be very helpful to a client looking to make time for homework compliance. Recommending a client some blogs, resources, products and even tools they can use to be more mindfulness, organised or even present will allow them to improve their chances of success with the homework. From a meditation video recommendation to an organisation application, all of these can save them valuable time and increase their likelihood of success of completion with homework. Recommendation: Provide them with an end of week list for things to try out. Even this list can be used, whether it’s one thing or all of them, that they can go away and check out themselves for their own personal mindfulness. Making decisions for a client with homework can sometimes be a little overwhelming for them. Getting a piece of homework and being forced to do it daunts all of us, so allowing week on week or even occasionally a little more freedom of choice will help to give control to the client. Recommendation: If you choose a topic they need to work on, try selecting 3-4 types of exercises they could choose from and offer this out in the session. Different approaches to the activity will work in their favour and will help them to accomplish things a little more smoothly. There’s something a little scary about sharing your thoughts and feelings with a therapist and when they’ve assigned you a vast amount of homework that feeling is doubled. Per client making sure you’re assigning the right amount of homework to make progress, whilst keeping an eye on their reactions to each piece will be beneficial, there’s nothing worse than a client feeling overwhelmed thanks to the pressures of completing a lot of homework. Recommendation: In your newly created logbook, jot down the homework and amount set of the week, this view or entry will help you to see how much you’ve assigned to them for that week and to check-in on how they handled that. Week on week, as the homework compliance goes on, make sure you take time to both celebrate the success of pieces of homework. This little action will really help to improve your chances of keeping in tune with your client and helping them to see what progress they’ve made. Recommendation: Reward your clients by outlining their progress week on week, there’s nothing better for a client than seeing what they’ve been able to master and get done, as a method of reflection for them. Recommendation: Try attending a few networking events or even conferences for therapists or CBT in your country. This’ll help to gather insightful ways to improve your practice and the results of your homework with clients. One of the things many therapists are coming across is the movement of mindfulness. Many clients will struggle in their routine to divert their attention into one thing, or even to help relax and get away from the busyness of the day. Mindfulness is one of those buzzwords right now but there’s a lot of science to back-up the theory and practice. Try to weave in elements of this or even recommend a few blogs to them to explore this area. The results, combined with homework can only be beneficial for higher quality homework and more. Recommendation: Try recommending a few blogs and mindfulness websites. 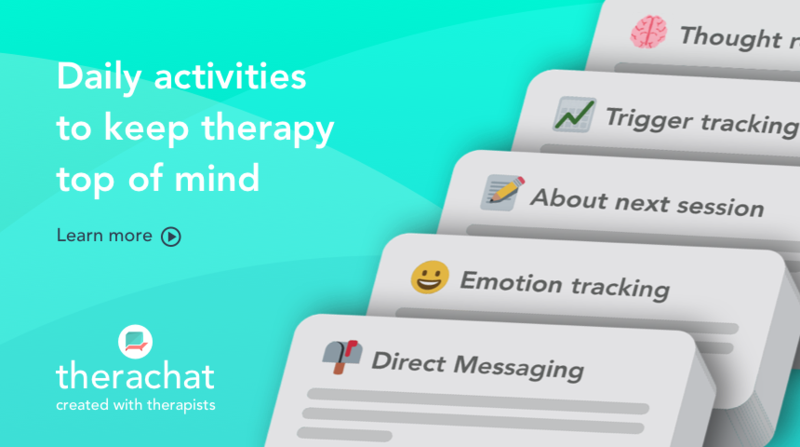 Here’s 50 therapy and mindfulness blogs to try out to get started! 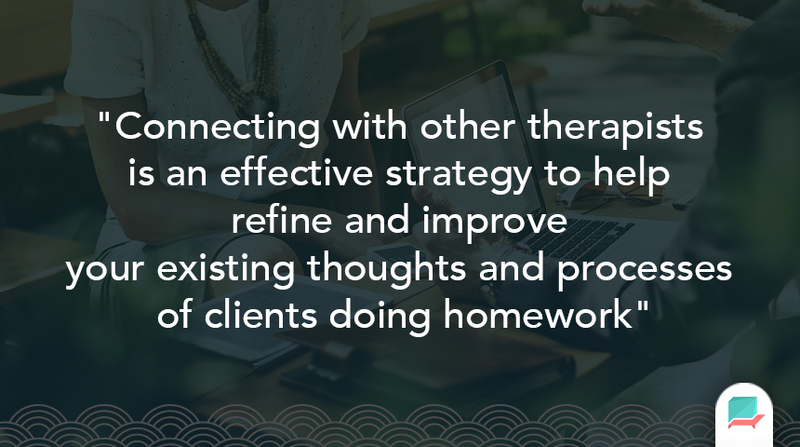 We’d love to know, as a therapist, how you go about improving results with homework success with your clients. Pop them in the comments below! Why does it say there is a comment on this post, but none? Idk if it is sloppy or dishonest, either way credibility took a hit and I’m not buying it. 2. People linking to this post is considered “a comment” as well, however that doesn’t show up on the post because it would clutter the page.